Hepco & Becker tank bags are the perfect option for those that want something to store a phone, keys, wallet and other small everyday items. 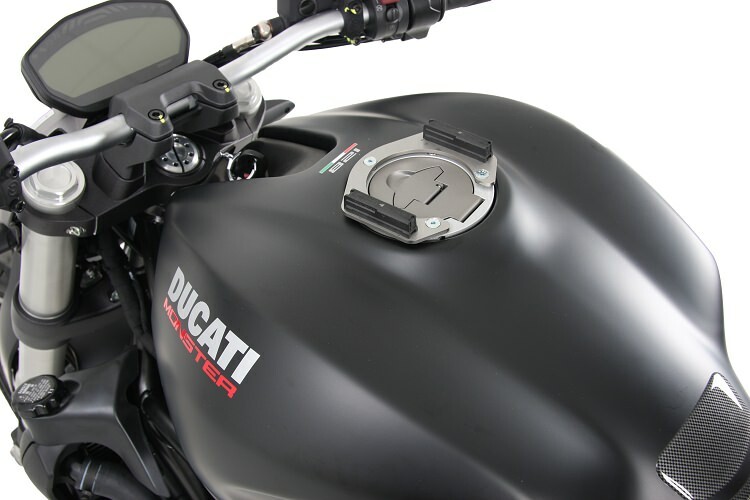 The Lock-It tank ring allows Hepco & Becker tank bags to magnetically lock to the bike. 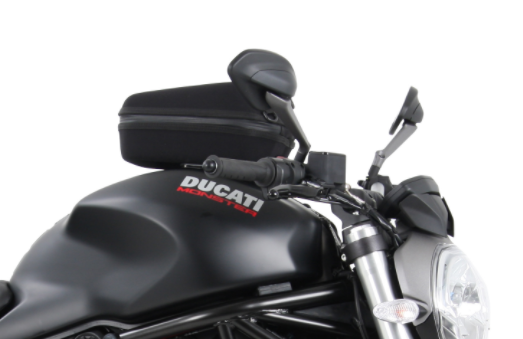 Mounting and dismounting the tank bags is a breeze and the Lock-It mechanism ensures that the bag will not detach while riding. There are plenty of tank ring options to match different bolt patterns. Let us know if you have any questions and there will be links below to tank rings and tank bags.